When the 2016 Academy Awards nominations saw a repeat of last year’s exclusion of actors of color, so too did criticism of the glaring omissions return. #OscarsSoWhite started trending on Twitter again, and actors like Jada Pinkett Smith called for a boycott of the ceremony—an appeal that may or may not include Spike Lee, who is nonetheless skipping the event to go to a Knicks game. 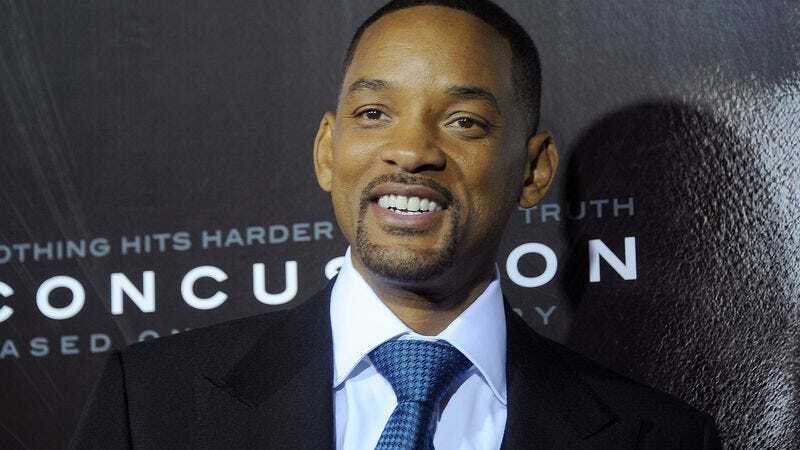 Pinkett Smith will be in fine and familiar company away from the festivities, as she’s just officially been joined in her protest by fellow actor Will Smith, who also happens to be her husband. The Concussion star shared his position Thursday on Good Morning America, which is becoming an ersatz pulpit from which various celebrities (including Lee) can announce their attendance at—or absence from—the Oscars. Although Pinkett Smith’s boycott was prompted in part by her perceived snub of Smith’s performance, he clarified that those actions don’t tell the whole story. Speaking with GMA anchor Robin Roberts, Smith said he was “uncomfortable” with the situation, which doesn’t just comprise the dearth of nominations for actors of color, that has seemingly relegated these performers to the role of mere spectators at what is arguably the biggest awards show. The actor described the obligation he feels to be a part of “the solution,” telling Roberts that he believes he has to “protect and fight for the ideals that make our country and our Hollywood community great.” As African-American performers and audiences are a part of that community, Smith said he felt the need to speak out on behalf of the “children that are going to sit down and watch this show and they’re not going to see themselves represented.” Smith didn’t try to soften the blow by suggesting that he has other plans, like catching Zoolander 2 or getting around to watching that oscillating fan video. The Smiths’ boycott hasn’t garnered any additional members yet, but Oscar winners Lupita Nyong’o and Quincy Jones, a former president of the Academy Of Motion Picture Arts And Sciences, have also spoken out on the matter. Jones said he was going to take the opportunity of presenting at the ceremony on February 28 to take the board to task on camera, which might make tuning into the Oscars worthwhile for the boycotting actors.